Ms. Brooks was diagnosed wheat intolerant in 2006. Since then, she has strived to assist others with adjusting to a gluten-free and wheat-free lifestyle through her Gluten-Free Gusto blog as well as writing for Celiac-Disease.com and CeliacChicks.com. 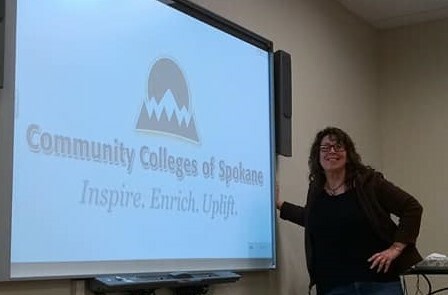 She teaches Learning to Live Gluten-Free for the Community Colleges of Spokane, and Introduction to Gluten-Free Living monthly at Cole’s Bakery and Cafe in North Spokane. She is currently slated to teach at the 2019 Crave! NW event, the Inland Northwest’s premier food and drink celebration, and the largest culinary event in the Spokane area. 1. Identify foods with hidden gluten. To book Ms. Brooks for your next conference, event, or class, please contact speaking@ksbrooks.com.